Doctors’ private practice is a public necessity. 053. Doctors, Politicians, Bureaucrats, People and Private Practice. Documentary Essay. P.S.Remesh Chandran. Governments’ banning the private practice of doctors has a history of 50 years, exactly as old as the abandonment of health and welfare of people by them. Wherever there are uneducated politicians and jealous bureaucrats, they share this common animosity and jealousy towards doctors. Bureaucrats retire at an age and politicians stop when party men stop following them. This hatred and jealousy stems from the right of doctors to practice medicine till the end of their days. 1. Doctors who do not look patients can be punished but why punish for looking patients? We can understand a doctor punished for not looking patients but how can we not understand the madness in punishing him for looking patients? That is what is going on in the world. Doctors who look patients in homes in their spare time are raided, suspended and dismissed by politicians and bureaucrats, on the hope that there won’t be anyone left to look patients in government hospitals and all will go to costly private hospitals run by their sons and daughters and sons-in-law. When this madness continues in the largest democracy in the world and millions of people who have no other place than free government hospitals to go are left uncared for and dying, world’s nations’ conscience is not turned to responding to this injustice. India spends millions on educating and training doctors, so that so many of them doctors would be available there day and night to treat people. People here means, not people’s representatives and state ministers who get round-the-clock free medical treatment but people who cast their votes, elect them and make the revenue for paying them salaries. When people go to a nearby doctor’s residence, they are told that they cannot be treated at doctors’ homes but have to go overcrowd the hospitals and contented with what unsatisfactory treatment they get there because politicians have dictated so. Government wants doctors to stop looking patients in their homes and they know that their hospitals cannot treat all patients, meaning politicians in government want to drive patients from government hospitals to private hospitals owned by them, their relatives, friends, favorites or followers, a large portion of the earnings from where would ultimately reach them in times of elections and in times of need. State health ministers regularly declare that they are banning private practice and that strict action would be taken against those who violate. Every time they open their mouths to declare these things, there is an invariable question asked them by press: why are so many doctors’ posts lying vacant in your state? The answer will always be ‘they will soon be filled up’, not ‘they already have been filled up’. The fact is, they will never get doctors to fill up these vacancies, due to their arrogant and unilateral decisions to raid doctors’ homes for detecting private practice. For years they are being asked this same question and for years they are continuing to give this same answer; and the posts are continuing to lie vacant for decades. That much is the care and attention they give to health care in their states. These vacancies have never been filled up nor would they ever will be, unless private practice is allowed for government doctors. Government hospitals will gradually become never-to-visit-places for patients, which exactly is what the politicians and bureaucrats want. When health ministers and chief ministers of a state become sick, we have read about the senior doctors in the government medical college going to the minister’s house for treating them. 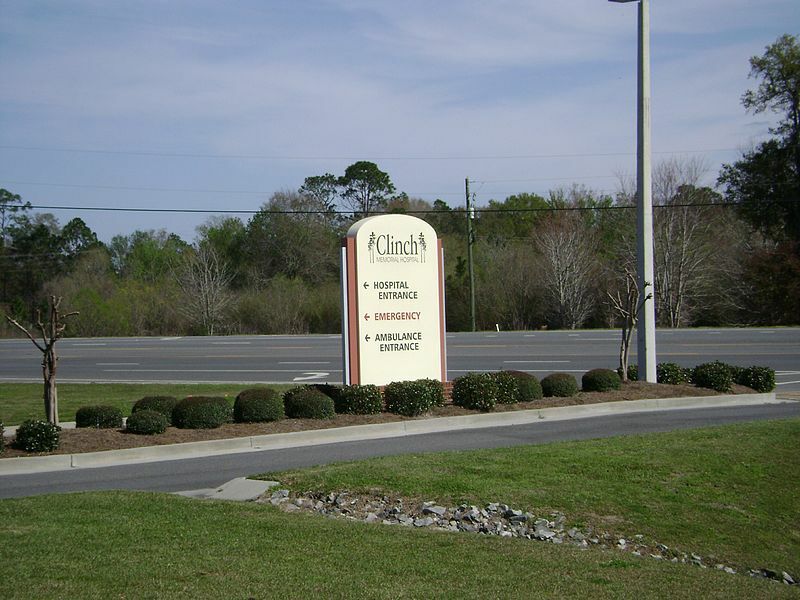 Is it not that private practice and illegal? We have heard them never going to hospital for examination before admission. They break laws for their convenience if it suits them but threaten doctors if they look people in their homes. Why they campaign against doctors treating patients in their homes is to show their unwavering allegiance and loyalty to large private hospitals and multi national health companies that are coming to India, who want to absorb all doctors’ home practices into their domain as they did in Europe and would pay politicians and bureaucrats handsomely for aiding them through issuance of the necessary government orders. Politicians are eagerly awaiting the international health care companies for coming to India and becoming an everlasting treasure trove for them to loot through generations. 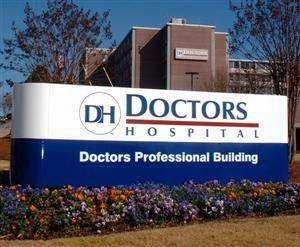 Rich hospitals and mammoth companies lobby governments to ban doctors’ private practice. Politicians and bureaucrats are their recruited tools, sold out soul and corpuscle wholesale. By banning private practice, these servile beings create a void which their masters soon come take up and fill. Of the hundred thousand politicians in India, there is not one among them who wish these health care giants never to come to India. The health ministers of Jammu Kashmir, Karnataka, Kerala, Andhra and Punjab, in looks and speech ferocious enemies of private practice, are only obedient servants cutting path for giant health care companies step by step through their successive orders. However hard they try to conceal, two things reveal where their true allegiance and loyalties lie: whom they create these government orders for and what destruction their orders have already done in their states. 2. Kashmir government invited complaints against doctors but received none; even after months, they are still waiting for people’s complaints. Kashmir government put a blanket ban on private practice of doctors and constituted a team of crime branch, intelligence and vigilance police to raid doctors’ homes and clinics and to act upon people’s complaints against doctors, monitored directly from the chief minister’s office. For months they sat waiting for people’s complaints against doctors to come which they expected would come in thousands but which never came. People of Kashmir simply were not willing to betray their doctors to these corrupt politicians and treacherous bureaucrats of their state. Kashmir politics and bureaucracy were never pure and theirs was a tactic to draw people’s attention away from the horrible economic crimes and corruption exposed recently there. And the people knew this. Specialists in General Medicine, Surgery, Endocrinology, Urology, Gastroenterology, Neurology, Neuro Surgery, Nephrology and Pediatric Surgery-words Greek to politicians and police men-were hunted by politicians, bureaucrats, police men and journalists throughout Kashmir but the people were not willing to betray their specialists to cheap government personnel. It is heard that this special cell is still awaiting complaints from people against doctors without spending their time more gainfully on looking into the shady deals of politicians and bureaucrats in the state. Increasing patient deaths in hospitals were what prompted this ban and the consequent raids. A legislative assembly committee constituted to examine these deaths suggested the ban and the government acted accordingly. There are certain meaningless words said-how much meaningless we will know soon- wherever such committees are constituted. For example read this standard phrase: ‘The committee discussed in detail various issues related to streamlining the functioning of government hospitals and the members stressed for making available adequate manpower in the hospitals and expediting the recruitment of doctors and paramedic staff to meet the shortage’! When deaths occur in hospitals, hunting doctors is the easier thing to do and what politicians do first; truth will always be lying somewhere else, far out of reach of insincere people. We shall look into some real incidents in the medical history of India. It is good and necessary that serial deaths in hospitals are looked into by legislative committees, but what if the sequel of serial deaths in a hospital starts from the act of a politically motivated legislator? 3. Ignorant politicians decide how even psychiatric hospitals are to be run. Patients’ deaths increased in the forensic ward of a psychiatric hospital in India, where new admissions were killed by other violent inmates. Forensic wards in mental hospitals are high security wards constructed like jails wherein convicted and under-trial prisoners needing psychiatric treatment are put as ordered by judicial courts. Representatives of executive, legislature and judiciary inspected, committees were constituted, reasons found out and doctors and nursing staff suspended, transferred, arrested, imprisoned and prosecuted. News media celebrated this for weeks, differed in their opinions and united in condemning doctors. What results they wanted to have, they gained through this show, but what actually happened inside that closed ward remained unknown to the world, except to a few unbiased people. It was a story which no politician or bureaucrat in India likes to hear. In the long history of this institution, it was headed by psychiatrists only as it should be. A non-psychiatrist becoming the head of such an institution was unheard of in the country. In 2011, a politician from the northern parts of that state, a black sheep in his party, was elected to the state assembly from a southern constituency which unfortunately housed this institution. The superintendent of this institution forgot to invite this MLA to some public function there and this representative considered it as a show of disrespect and a breach of protocol. He moved the ministry, the superintendent was transferred out immediately and the search for a new one began. Psychiatrists were rare and none came handy, so a non-psychiatrist was posted as superintendent in his place. We should know that the superintendents psychiatric hospitals would usually be the senior-most psychiatrists in those institutions and so, would know about every kind of problem that may arise in such specialty hospitals, even long before they actually happen. He would attend to patients in his wards in addition to looking files as superintendent. Besides, this hospital was the nodal controlling centre for all other psychiatric hospitals in that state. Heads of such institutions would even know about whether it would be after three hours or four hours that a particular patient brought before them would turn violent, just by looking at the face. Thoughtless changes ordered by an ignorant health minister earlier had offered a specialty cadre for doctors by which they could opt out clinical duties and go for administration. They only needed looking files and did not need looking patients anymore. This situation would tease our common sense: a doctor for whose training the state spent millions no more needing to treat patients but looking files instead, a great loss to the nation and the patient community in particular. The history was, skilled and talented doctors looked both well and became famous as both physicians and administrators, extra ordinary two-in-one assemblies. People teased, the most incapable and bad ones only would opt administration so that they would not have to kill patients in their ignorance and ineptitude. This new system paved way for the administration to be filled with incompetent doctors. Anyway, the new superintendent was but a general practitioner, the first incident of a non-psychiatrist becoming the head of a psychiatric hospital in the state, perhaps in the history of the whole country. Neither our MLA nor the hierarchy from health minister and secretary to the director of the department found anything out of way in this posting. They who were thought to be brilliant in anticipating the after effects of their decisions proved they were nowhere near calibration to justify their pay. Since this was a new discovery of that politician with the most bizarre of ideas, nobody questioned this posting and the local politicians and position-seekers of his party began to go daily to that hospital and took hold of the day-to-day administration of that hospital from their crony. 4. Things are like in political commissariat in China, minus the good things of socialism and individual responsibility. People think hospitals are run by doctors but now that is not so as a result of another foolish dictate issued by the politician-bureaucrat nexus. A hospital development committee constituted with local politicians as members and the district collectors as chairmen would conduct the daily business of hospitals. Do not anyone think that any of them including that IAS person there knows anything about medicine or hospital administration, but they assume the role and pretend to know everything. Medicine is a specialty where no blunders shall ever be permitted to happen but where every kind of blunders happen every day, made to happen by politicians and bureaucrats in the name of people’s rule and democracy. These committees which are just developmental committees assume the role of and function as administrative committees. Once nominated into them, their members poses as administrators and begin to think that they can easily substitute doctors, a pleasant experience for illiterate politicians and bureaucrats who wallow in dream castles. They wallow deep in administrative pleasures till that committee is reconstituted without them or till some catastrophe as mentioned here happens out of their thoughtlessness, causing as much destruction and confusion as they are capable of imagining before they go out of these committees. This happens in health administration alone. If such committees are constituted in revenue administration to run the day-to-day business of district collectorates, the collectors would resign immediately. No such low-intelligence committees are tolerated in agriculture, public works, law and order or any other kind of administration except health. No department head would tolerate ignorant people’s committees superimposed over their heads in their departments except doctors who are but a gentle lot who very soon learns not to object. Now no one knows who the authority of what in health services is. District collectors in several states even think they are the district health authorities also. The district medical officers have no role now who only initiates disciplinary action against their staff and send files to the district collectors to decide upon what punishment is to be given to their staff! Boundaries defined by statutes and laws have vanished and pastures prompted by pompous self interest and greed are newly annexed to each one’s monarchy. There is supposed to be a big brother watching in the national capital but it does not seem he sees anything at all. Doctors have now no role in running hospitals. Things are like in the political commissariat system in China in health services, minus the good things of socialism and the accountability of individual responsibility. So, this hospital development committees, or HDC in short form, meet regularly in hospitals, drink tea, munch cashew nuts and discuss things and take decisions which none other than a medical professional shall never discuss and take. They dictated this new superintendent to introduce a turn duty system in the hospital-a great word that they had heard somewhere-by which they intended to achieve great reforms in the hospital. In their learned judgment, nursing attendants continuously working for months and years in the same wards is the cause of all problems in hospitals they shall be shifted each day without given opportunities for developing relations with patients. They did not know what they were causing to happen in their ignorance and the new superintendent in his also did not know what he was not professionally objecting to. Had he been a long-serving psychiatrist, he would have envisioned the horrible things that were to come out of this wrong decision, very wrong in a mental institution. Now each nursing attendant would be told in the morning where was to work that day. The next day he would be at another ward. This kind of rotation duty also was a first in the history of asylums, one of the finest illustrations of the ages-old adage: fools rush in where angels fear to tread. 5. Introduce turn duty in psychiatric hospitals, crash patient-staff rapport and let patients kill each other. Helping young patient in healing. When a staff works for long periods in a psychiatric ward, patients develop rapport with him and open up and disclose things which are buried deep in sub conscious and unconscious layers of the mind. They will begin to obey whatever this staff says so long as it is this particular staff there. 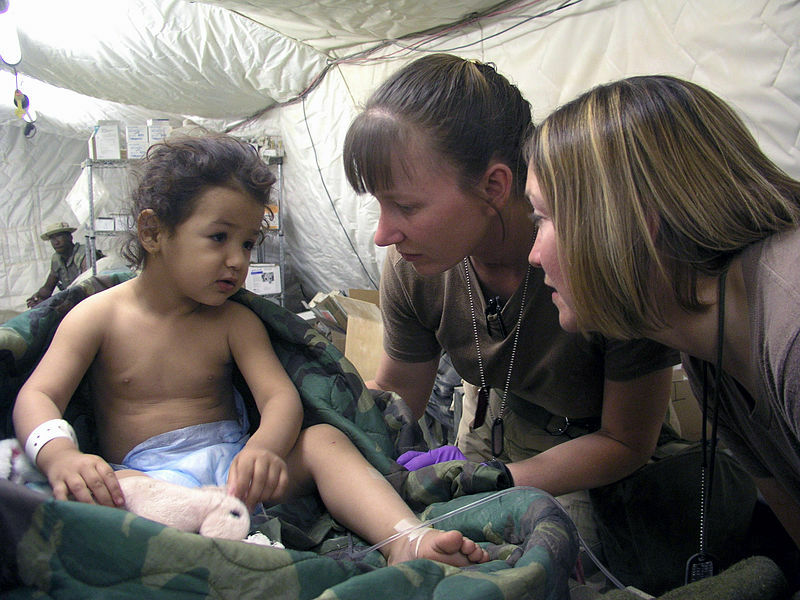 The staff also develops an insight into whatever is going on in the inner bowels of the mind of each of those patients-a knowledge indiscernible even to psychiatrists and nurses, derived through close observations and long contact-crucial in assessing ways to help the patient to the road of his recovery and healing. It is not the psychiatric, psychotic and psychedelic drugs administered to patients but this opening up, sympathetic human interference and rapport that makes things possible in mental hospitals. When that particular staff is not there one day for revealing their hearts to, they become dumb and mute, become unresponsive and even turn destructive, like little children. Mental patients cannot simply accept another in his place as they are not normal like us (?) and their mind, which is only flickering up to normalcy or shuttering down to tightness, grieves. It is the real shock to them, loosing a trusted care taker of long acquaintance who knows everything about them and would see to their every need, a shock an outsider to a mental care facility like a passing politician and bureaucrat cannot understand. Does everyone know, telling one’s needs is a heavy, strenuous and laborious task for a mental patient due to drug-induced lethargy, thickness of tongue and general reluctance and sadness? Staff of long acquaintance and familiarity is the only bridge between them and the conscious world, the only solution for their cure. Psychiatrists with long experience know this and that is why they permit and encourage staff to work for long periods, sometimes till retirement, in the same ward, on the hope that if it would help speedy recovery of those hapless minds, let it be so. Who knows about the grief filled in those minds whom we see standing staring and forlorn behind grilled doors and closed cell rooms? After the Great Change following the learned development committee’s decisions, the staff working in the forensic ward for one or two days disrupted everything and could not know which of those prisoners had suicidal tendencies and which of them had killer instincts. So they put those who do not have them with those who did have them. A brilliant North Indian young boy, the pride of his friends and colleagues, brought to this hospital for treatment as ordered by the judicial court and admitted to this forensic ward was found dead the next day, supposedly strangled by his cell mate. Had it been a staff working there for long, he would have anticipated this and would not have put in the new admission in the same cell with a prisoner undergoing murder trial. He would have known that it would not be safe to accommodate a novice with no criminal history with one with killer instincts. Every media, politician, department authority and investigative agency investigated and is still investigating why this happened, instead of plainly pointing fingers at that politician whose act started the sequel of events and whose fault, misunderstanding and ignorance led to this human death. After one month, another outside-state patient was murdered in the same ward more or less the same way due to the same reasons. The real culprits, who took the unwise decision to rotate staff each day, still meet, drink tea, munch cashew nuts and give advice. So, this is only one of a thousand examples of what unwanted political presences and thoughtless government orders do in bringing about the fall of great health institutions. One question we are leaving unexamined here, that of jail prisoners in mental hospitals’ forensic wards being left with untrained hospital attendants instead of qualified and trained jail security staff, which we leave to experts in legal jurisprudence and forensic law to explore. 6. Kerala government banned private practice and lost all qualified and experienced doctors. The Kerala government also banned private practice of doctors employed in medical colleges, dental colleges and nursing colleges. All of these medical colleges were already suffering from acute shortage of experienced doctors and medical teachers after most of them having gone to foreign countries to take up better employment there. Government’s attempt to call them back from leave did not yield results; most of them just resigned from their positions or merely did not respond to these calls. Even if government had succeeded in recruiting new doctors to fill up vacant posts, they would not have got qualified and experienced doctors as hundreds of private hospitals also were vying for them. Senior medical students now carry on the running of medical colleges and the future of medical education in that state is dull. Government brought about this situation by forcing doctors to quit for joining private hospitals where they could continue home practice simultaneously. Allowing the home practice of doctors would have helped in maintaining the overall health care in the state and solved the problem of the dearth of experienced doctors in government hospitals, but things now have gone out of hands and control of the government. However much the government increased the pay of doctors, it had no effect on their remaining in service because no doctor did or would abandon home practice for sitting inert and idle in their homes. Either Kerala looses all qualified and experienced hands or they liberally allow private practice to retain experienced doctors in service, which is the predicament there. But as we have seen, maintaining the quality and uninterruptedness of patient care in the state is now no concern of the politicians and bureaucrats there. Each person comes as health minister, issues a few orders here and there, loosens a few foundation stones at critical points and vanishes into anonymity never to be heard again. Soon we will hear about something like the health establishment in the state has collapsed. Then we will hear about a government order banning patients in hospitals until they are fully insurance covered. It will not be too long before we hear that the whole set up has been given on lease to foreign consultancies for running. The last government order from these traitors would be the announcement of the sale of all government hospitals as a lot to foreign investors ‘for ensuring quality medical assistance to all, considering the interests of the state’. There would be no protestation riots from the youth organizations of even the revolutionary parties for it would be their leaders issuing these orders and excellently explaining everything in the light of Karl Marx’s theories of dialectical materialism and poor Lenin’s principles of class war. Politicians and bureaucrats have the basic misconception that doctors, like them, care only for money and would forget the impact and influence of real good education. In Kerala, this banning of private practice was first enforced by a minister belonging to the central committee of the Communist Party of India Marxist-a party which is in intellectual darkness as regard to this issue-who thought that banning private practice of doctors was something simple and technical like banning illicit liquor, tobacco and plastic cover. Inspired by Kerala, politicians in Karnataka, Tamil Nadu, Andhra, Orissa, and Maharashtra states also carried out similar raids on doctors’ homes and clinics arranged by medical council of India, which only alienated good doctors dedicated to patients. We know, Karnataka has the largest number of paper medical colleges where anyone can seek admission and pay and obtain medical degrees, protected or owned by the politicians and bureaucrats there, investigated never by any medical council. Where money and political power are involved, no investigations would be. The first thing the medial council of India ought to have investigated was involvement of large private hospitals in bringing about these bans and legislations and how much they paid politicians and bureaucrats to bring about this favourable kind of situation to keep their establishments afloat. Even 65 years after the British left India, they still have not been interested to open at least one dispensary in each village, forgetting which they are shutting down home practices. 7. In lawless Uttar Pradesh, state assembly member crashes into doctor’s practice and manhandles him. In Uttar Pradesh in December 2012, a Samaj Wadi Party MLA crashed into the private practice of a doctor and manhandled him. This incident was an aftermath of an earlier incident of the health minister of UP visiting the district hospital, finding injection bottles purchased by patients from the market when the item was available in the hospital, inquiring why and this young doctor remarking something which was taken as an interference and retort by the minister. His party man was attacking the doctor two days later with his retinue instead of setting in motion the legal machinery. This is not an isolated incident. Politicians now go to the extreme of manhandling doctors to gain popularity among their party men and to show people that they are heroes. In Kanpur, a minister in a surprise inspection suspended a doctor on similar puny charges. Punjab health minister instructed that a monthly list of doctors doing private practice shall be sent to his office. His government doing sting operations in hospitals, carried out by his chief parliamentary secretary of health was what roused the anger of doctors to turn against him and defy him which in its turn roused his personal anger to take vengeance on the state’s expenses. He later admitted that the infant mortality rate in Punjab had come down to 30 from 34 per 1000 deaths, compared to the high national average of 47. Who made this possible in Punjab, doctors or politicians? All these chief ministers and health ministers while ordering raids on doctors’ clinics and homes were continuously speaking about ethics. How many hundred ethics did they trample down and trod upon to reach those positions of chief ministers and health ministers? From the selection of assembly candidates by the party based on communal and religious factors in each constituency, hiding real assets in election commission declarations, flowing black money in millions to buy votes, slanting the opponents’ reputation through false allegations, unleashing anti-social elements to quash the opponents’ election campaigns, spending a thousand times more money than permitted on election campaigns cheating the election commission, and using state employees for canvassing votes in crucial pockets, to utilizing communal, religious and industrial houses for lobbying to win chief-ministerships-actually what they did not do to win those positions? And what did a doctor do to win his position except learning and accumulating knowledge through the years? Before speaking about ethics, chief ministers of Indian states have to be very careful: election petitions filed before the election commission after each election speak eloquently about their crimes, whether proved and punished or not. 8. Supreme Court of India judges doctors’ private practice and accepting consultation money neither crime nor corruption. They still find time to play with patients. Politicians and bureaucrats who want to arrest and prosecute doctors for looking patients in their homes speak loudly without stop also about the Indian Penal Code, section 168 and Anti Corruption Law. They cite their own orders banning home practice, framed by them in violation of Indian laws to appease their political ego and to beat doctors. Anti Corruption Law and Section 168 of Indian Penal Code defines a government servant’s engaging in a trade as an offence. The Punjab Government in 2011 booked two doctors for looking patients in their homes and accepting money. They were charge-sheeted for criminal activity and corruption. The Supreme Court of India on 28th April 2011 ruled that government doctors on private practice charging consultation fees from patients in a clinic during spare time could neither be accused as indulging in trade nor be booked under anti-corruption law. Section 168 of the Indian Penal Code stipulates that a government servant engaging in trade is an offence. Prevention of Corruption Act states that a government servant accepting money for service is corruption. The Supreme Court bench comprising of Justices Markandey Katju and Gyan Sudha Misra quashed Punjab governments’ plea that the accused doctors’ private practice deserved criminal prosecution for both. The bench held that their act deserved only a minor departmental action for breaching a government order banning private practice. Corruption means demanding and accepting illegal gratification for doing an official act. Looking patients in their private clinic or home is not an official act and therefore that act is not corruption. Receiving fees for a non-official act is not illegal gratification but only professional remuneration. In the Judges’ learned opinion, holding this acceptance of professional remuneration for non-official consultation as corruption and offence is preposterous, and is against common sense. Justice Gyan Sudha Mishra made it clear in her verdict that these doctors’ violation of a government order banning private practice ‘fall within the ambit of misconduct to be dealt with under the service rules but would not constitute a criminal offence under the Prevention of Corruption Act’. Treatment of patients by a doctor cannot be treated as a trade because the doctor’s duty to treat patients is in the discharge of his professional duty. The Supreme Court severely criticized the police for charge-sheeting the doctors under the Indian Penal Code and the Prevention of Corruption Act. The sudden reaction of politicians, bureaucrats and media men to this Supreme Court verdict was their response that it was time for amending the Indian Penal Code and the Prevention of Corruption Act to book doctors by any means, not expression of a willingness to bring legislation upholding the spirit of the views expressed by the learned judges in their verdict. Private practice by government doctors is not a crime in the eyes of the learned judges in the Supreme Court but in politicians’ eyes, it is a far greater threat to the nation than stealing billions each year from government and stashing them abroad in secret Swiss bank accounts! 9. Half-baked brains taken out of ovens before fully cooked, with which to rule over intellects and gentiles. So, we are left with only the question of violation of a government order so far as doctors’ private practice is concerned. Looking patients in homes and accepting fees for that professional service done outside duty hours is neither corruption nor criminal activity according to Indian law, till perhaps the majority of angry politicians in parliament happily unite and amend law to make it so. Doctors doing private practice can only be subjected to departmental actions for violating standing government orders, the end result would probably be barring annual increments or dismissing at the most, not disbarring from profession and imprisonment. Government orders, dictated by politicians and issued by bureaucrats, can at times be right but almost always be wrong, considering the quantity of intellect that goes into the making of them. Our intelligent doctor who has studied medicine for years and knows every problem associated with patient care is now forced to obey blindly orders formulated and issued by some who does not know anything about the problems in the field, without given an opportunity to large upon their merits and demerits or voice dissent. Before we examine whether doctors are not represented in government while these decisions are taken, it is better to examine how wanton orders with detrimental, devastating effects in health are sired by self-interested politicians and enforced with state’s authority. Government issuing an order banning the private practice of doctors is not something to be taken blindly or seriously. We all know now about the wisdom, thought and foresight that do not go as ingredients into them. There may be a few born out of sophisticated learning and diligent care but they were all born in bygone generations. Now the motive behind each government orders is to show favouritism to the close and near, compliments to favours received, repayment of monetary gratification, to beat enemy before he gets a chance and to give ruling politicians’ tactics a legal footage. We can cite hundreds of such orders issued each year by government secretaries, ordered by state ministers, who obey only their party men. If there was a speck of sincerity behind this order of private practice ban, it ought to have been the last in a series of orders, not the first, on the introduction of reforms in hospitals or cancellation of earlier unwise introductions. For example, the government did not issue orders cancelling the introduction of fees for hospital treatment. If parliament members, assembly members and ministers can get free treatment in government hospitals, so can people. If there are enough funds and resources to treat them, there should be enough to treat people also. Government also did not issue orders withdrawing substitution of protein-rich porridge diet in hospitals with stale dry machine-made bread. Government did not issue orders cancelling the stopping of issuing boiled milk to patients and beginning to issue three plastic covers of raw milk to each two patients instead. How are they supposed to split and boil this milk in hospitals? When people rushed to roadside tea shops to get them boiled, politicians and bureaucrats got these road-side tea shops raided, closed and removed through food safety authorities and city corporations. Now all hospital have neat, clean, shop-less road-fronts and politicians and district collectors passing through these spots pride in their work-what can we say except abominable, base creatures flitting in people’s cars, getting paid by people? Those who want to bring goodness and solace to government hospitals would always be thinking about how these miserable situations could be addressed, in their day and in their dreams. But people who keep eternal hell in their minds in the form of jealousy and hatred towards others and are perpetually tormented as in Dante’s hell by the burning shells of these Satanic emotions would always be thinking about how others’ lives could be made into hell. These authorities’ brains remind us of half-baked things hastily taken out of ovens before they are fully cooked, half-baked brains with which they rule over intellects and gentiles. 10. Increase the number of nursing trainee seats, cause overcrowding around mental patients, destroy the tranquillity around them to cure. Brought back to health again by angels. Since we are concerned here about for whom government orders are made and how they help or destroy government hospitals, we shall examine the example of one made in the field of a medical specialty of special attention where utmost care and foresight is expected to be there behind each government order. Let us take this example also from the psychiatry field. Psychiatric patients are not capable of voicing their opinions, therefore government orders made in this field have to be the most careful, thought about, and wise. Psychiatric patients always being surrounded by doctors, nurses, assistants and students is not an advisable situation as it would reduce the minimum tranquillity these patients need to recover. As the number of attending doctors, nurses and attendants cannot be lowered below the minimum of what is stipulated, the only number that could be limited is that of students. World’s legislations in this matter considered the different aspects of this situation and set it so that the number of nursing students admitted each year to mental institutions for training shall not exceed one third of the total bed strength there, even which would be more than overcrowding for patients. In Kerala, considered perhaps to be the most health-conscious state in India with remarkable achievements in health- all of which gained four decades back and even commended once by the World Health Organization for these achievements- an unprecedented number of new nursing schools came to be established recently, prompted by government to check money drain to neighbouring states of Tamilnadu, Andhra and Karnataka. None of these schools were attached to medical colleges and as such could not ensure psychiatric training facilities for all their General Nursing, B.Sc. Nursing and M.Sc. Nursing students as part of internship, due to scantiness of mental hospitals and restriction in trainee seats in government mental hospitals. Once they could be sure of securing training facilities for all in mental hospitals, they could admit any number of nursing students and reap billions, a part of which would finally reach politicians and bureaucrats. They moved their patronizing politicians who moved government secretaries who moved government and obtained a series of government orders liberalizing norms for admitting student trainees in mental hospitals, raising the ratio each time proportional to the amounts released by each nursing school. Now, after just five years of beginning this process, this percentage has risen to 75, meaning every 100 patients in mental hospitals in Kerala will have 75 nursing trainees around them instead of the stipulated 33. States cannot do this unless National Mental Health Act and Rules are modified and the Nursing Council of India and the Medical Council of India thinned their regulations which they never did. It was this act of violation which actually needed criminal prosecution and booking under Anti Corruption Law and Criminal Procedure Code for they were attempts on the lives of mental patients. Not one among these illegal orders had a single line expressing anxiety over how the resultant over crowding was going to affect the recovery of patients. In fact, the designers and signatories of these orders live in constant fear of when the question of this overcrowding around mental patients would be raised by the civilian society and vigilant citizens of India and investigations begin. They were all signed by Indian Administrative Service personnel, ordered by state ministers or issued even without their knowledge. None among these politicians and bureaucrats in the executive reported and brought this to the attention of parliament or judiciary. It was a sweet pie and everyone wanted a cut. There are two weak arguments they raise as justification for this violation- relaxation in their terms- training more number of nursing students is a state’s need and revenue from nursing schools is essential for running these hospitals. Statistics, if revealed, will show that the rising number of nursing students and the number of returning patients are directly proportional. If recovery of patients cannot be helped, why hospitals function? Starting nursing schools without linkage to medical colleges was the nursing school managements’ fault carefully overlooked by politicians and bureaucrats. Not one single rupee is needed from this source of revenue for running psychiatric hospitals; one need only to look at the unbelievably huge amounts of liberal funds the government of India floods the states with under the National Mental Health Programme, a priority sector of government. Money which is important is those which the nursing schools pay to politicians and bureaucrats as gratification. 11. How they make this happen each year, making billions for pharmaceutical companies and private hospitals? As we have seen, there is no sacredness or infallibility in government orders in the field of health. They are more or less meant to destruct the free hospital system in India and to drive away patients from government hospitals to private institutions. We are yet to see and feel the full impact of the greed of these mammoth private hospitals because the destruction of government hospitals is not yet complete. Once it is finished, we will see and feel it and wish to burn these privates down even if we won’t get any treatment when we die. By that time, politicians and bureaucrats would have made small private clinics and doctors’ home consultancies totally extinct. There would only be these giants gaping their mouths for money, meanwhile doing everything they can for spreading diseases by releasing toxins in wayward researches and installing intricate mechanisms for nosocomial infections- treacherous manipulations we read about in medical thrillers such as those written by our beloved doctor Robin Cook. He was not raising plots from fiction but basing fiction on facts- on real incidents and mathematical probabilities assisted by meticulous research- like Jules Verne and H.G.Wells. When the things we fear happen, health care would have become not a responsibility of state long ago except for parliamentarians and state ministers and top level bureaucrats. Just like those people who reminisce about the time before the Great Change in H.G.Wells’ novel In The Days Of The Comet, people will remember those nostalgic days when state provided free hospital treatment for them all when they became sick and treated them to fitness to work again. Lethargy of diseases would make us vaguely reminisce about the sequence of events that led to our fall. We will remember the days when they first bifurcated health services into so many tiny departments such as employees’ insurance, medical education, prevention of food adulteration, etc, etc, so that there were so many directors’ seats for all their sons-in-law to sit in. The end result was, no one knew where to go or who to see for each service which was all obtained under one roof once. Then they detached sanitation from experts’ health department and attached it to local bodies called village councils where the responsibility for sanitation and killing mosquitoes fell into the hands of corrupt local politicians. When materials and money vanished into their pockets and chlorine and DDT reached nowhere near canals, ponds and drains, mosquitoes doubled, tripled and quadrupled and we got dengue and chikungunya. When we went to local government hospitals, we were told that there were not facilities for treating these diseases and that all doctors had been dismissed for private practice and advised us to go to medical colleges. When we went there, there were not enough places for all of us to bed and so we went to private hospitals where they squeezed 45000 rupees out of each of us for treating dengue and chikungunya. Of this, we knew 15000 reached those very politicians when elections came. One lakh people affected by dengue each year made them richer by 4500 millions out of which 1500 millions reached politicians and bureaucrats each year. Joining dots in the puzzle, we learned why each government order was devised by them and how they dismantled free hospitals brick by brick. In the haze of the delusion of fever and through the veil of dizziness of diseases we could vaguely see our last hope of saving those small clinics and public doctors’ home practices drifting away to the misty horizon, the last push seaward thrust by the politicians we elected and the bureaucrats we paid, like the last thrust of Longinus’ spear on the dying body of our saviour. 12. Four hours rest and sleep for prime ministers and scientists is dedication, but with doctors it is called greed. Will they return to music of home bells? Updating knowledge is necessary in every profession and doctors also do this to remain in profession, irrespective of whether they are paid Non-Practicing Allowance or not to compensate for longer duration of studies and the resultant late joining of service, to make up revenue loss from abandoning private practice and spending more time on updating knowledge. Non practicing allowance is treacherous bait by government to lure people’s attention away from doctors’ and patients’ real problems. They do not pay this to nurses, technicians, pharmacists, or any other category of trained hospital staff, equally much sought-after professionals, for not doing private practice even after strong long demands from their organizations. NPA is not a benevolent concession but treacherous bait, meant to capture doctors alone. The doctors do have and should have the option to receive or not Non Practicing Allowance and remain outside or inside home practice. If they opt for NPA and do home practice, that is wrong but if they opt out NPA and look patients in their homes, that is just and right. Here what we see is government blanket-banning private practice to suit politicians’ hidden agenda, ordering compulsory acceptance of Non Practicing Allowance and denying doctors their rightful practice and patients their rightful treatment. What the world does not seem to consider is, how much time is left for a doctor after doing his hospital duties, to treat patients in his home. What the world also forgets to see is the money and time state ministers spend on travelling official to inaugurate puny little things of no importance, like massage centres, bar hotels and beach resorts. Is it state duty? When a doctor treats patients in his home in addition to his official duties, that much number of patients are attended and cured, without the state having have to incur any expenses. He will get three or four hours rest and sleep, which when happens in the case of great scientists and prime ministers, we will call it dedication to work and selflessness, but when it happens with doctors, politicians like to call it greed and people call it devotion and care. Let them have the option to receive or not Non Practicing Allowance, but do not enforce it on this noble profession which needs many years’ learning and training for perfecting and round-the-clock patience and presence of mind to remain noble, a profession much respected in the world than politics. 13. There is some kind of fishiness in government’s decisions in ordering specialists not to work privately. Clinical laboratories need hematologists, pathologists and microbiologists to run tests but these medical specialists are not easily available to private laboratories. So they engage government specialists to work in spare time and on off-duty days. There again it is patients who get services of the best, which saves their lives. It is because government hospitals do not have facilities to test all patients or conduct all tests that patients go to these private laboratories. They are proof of authorities’ negligence and dereliction in setting up well-equipped laboratories attached to hospitals from the village level up to the metros. If government labs were equipped and staffed well, government specialists would have done these tests in government hospitals. Without equipping government labs, dictating specialists not to attend spare time duties in private clinics, is denying best services to patients; it is politician’s jealousy for professionalism. Let professionals work wherever they are needed, which would alleviate pains and solve health problems more effectively. We expect specialists to be allowed to practice privately and freely as there are not enough numbers of them compared to general practitioners, but here what we see is, in general medicine a doctor can practice but in specialties like much needed pathology, microbiology and hematology one is not allowed to. There is some kind of fishiness in government decisions in this matter. They decide which specialties are to be included in the ban or excluded from calculating on from which the great private hospitals expect and need a great influx of patients. Is it time politicians in government are seized and subjected to forced psychiatric treatment, before more delusional and hallucinatory decisions are taken and health services ruined beyond repairs? Sometimes, a skilled anesthetist will have to be called by a private hospital to attend to an operation on a patient there. Anesthetists are an essential part of an operating team who can make it a success or failure. A skilled anesthetist is a much sought-after thing. If an anesthetist is free and an operating team in a private hospital is in need of one for saving the life of a patient, what wrong is there in spending his spare time to save the life of another human being? But this jealous politician of ours is against such loftiness and has decided to include anesthesia in the list of banned specialties; we know he was a lesser-learned craft teacher in a primary school in his former life before coming into politics and becoming a health minister. If he is questioned, his young followers will rush into the hospital and seize doctors by their collars as they did in Uttar Pradesh. We the people are in a way lonely and those skilled physicians who can save our lives are bound hand and foot by undereducated politicians so that they won’t be able to save us- these politicians we elect each time casting our votes, to save our country from not falling into autocracy or despotism but for remaining in democracy. 14. There are medical teachers who do not practice and medical practitioners who do not teach, but a practicing teacher is the ideal one. An immense store of medical knowledge and experience rests with private sector and home practice but medical colleges want only full time faculty members in their staff; so this vast knowledge repository remains untapped and medical students can not make use of this untapped potential. Treating patients who remain outside the main stream of medical care, these doctors have unique experiences which, if engaged as part-time faculties in medical colleges, they would only have been glad to share with our future doctors. Some diseases which are unique to a place could only be learned this way. What awaits a medical student when he goes to meet the outside world of patients after graduation could only be learned this way- the untold experiences of a novice to into the field, the crude pagan practice unaided and not back-supported by establishments, the dire circumstances of meeting emergencies with one’s own bare hands and brain, the lessons from direct confrontation with patients in the patients’ locale, unique to a beginner. Moreover, by getting part-time-employed as teacher, the private doctor also gets an opportunity to learn more and research. What use is there of an academic teacher in a medical college who has not had any direct contact with patients for a long time? He could easily be substituted by a good text book or several of them. Teaching allows the private doctor to update himself and the medical student to get balanced convictions on the applications of medical knowledge. 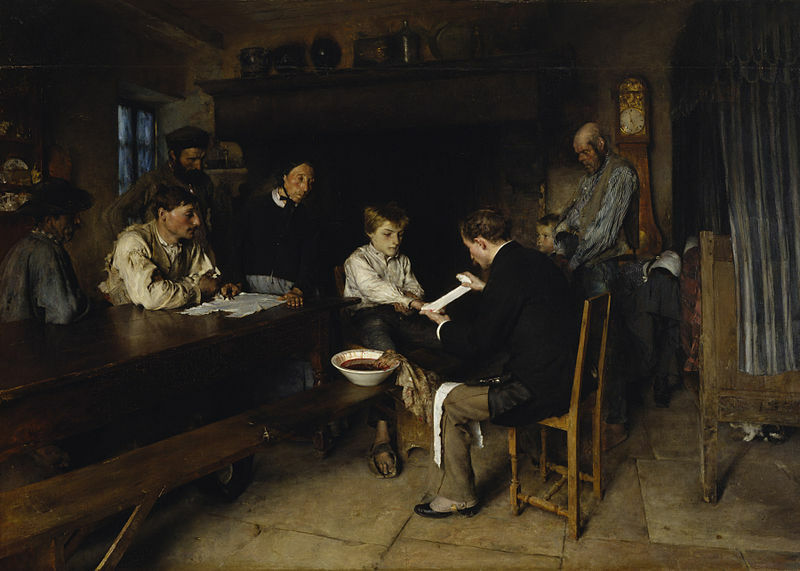 Teaching medicine needs a balanced and experienced mind, born out of knowledge gained from facing challenges in treating community without the supporting facilities of institutions- the first letters of medical education. A doctor who has never remained outside the environment of a large hospital can never acquire this unique knowledge which when transferred to medical students is one of the most invaluable gifts they can get from their teachers. It is a rare knowledge without which their education would not be complete. 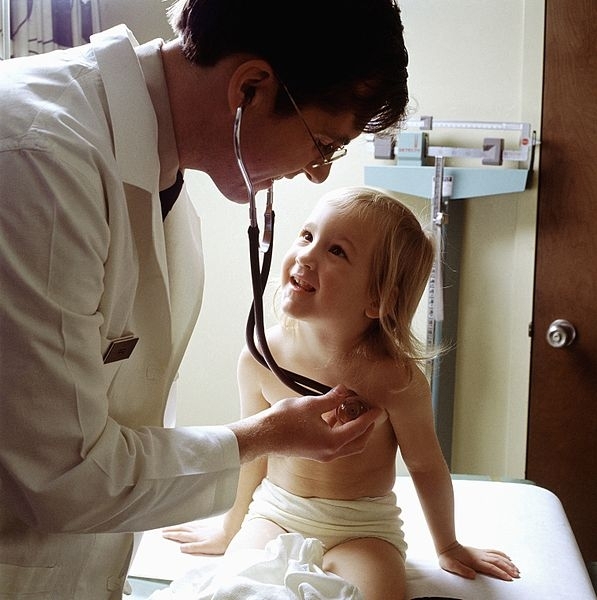 The historic conviction of medical education and training is to empower a person gain medical knowledge and become able to treat other persons without the help of clinical implements including the stethoscope and the thermo meter, and without the assistance of others including an orderly or a nurse. Doctoring is not supposed to be one working under the umbrella of the assistance of many; it is always one person equipping himself for a one man mission and going alone in the rain. Doctors, who train themselves to work only inside the protective environments of establishments, fail miserably when they step out into the outside community. If medical college teachers won’t be able to practice privately, then recruiting experienced doctors from the private field as part-time teachers would be the only solution left to make medical education balanced and complete. There are medical teachers who do not practice and medical practitioners who do not teach, but a practicing teacher is the ideal one in the field of medicine. 15. Doctors caught hostages in people’s war against corruption; if people let politicians and bureaucrats go, they will release doctors to people. Patience, diligence and care, their face marks. It is the most brilliant brains of a country who turn to studying medicine. Their brilliance and kindness make them succeed in developing good relations with patients and the society and build up confidence through dedicated work of generations. Then politicians, bureaucrats, journalists, lawmen and policemen, other professionals who suddenly find themselves surrounded by crowds accusing corruption, bribery, scams and crimes, find out that private practice of government doctors is the source of all evils in the world. This movement against doctors in India was, not surprisingly, simultaneous with the exposure each of these great money scams involving politicians and bureaucrats. Only politicians and bureaucrats were involved in these horrendous scams and thefts. Not one doctor was ever but associated with them, except perhaps any of those who were engaged as ministers in the central cabinet. Within a span of twenty years, the exact age of the exposure of great governmental money scams in India, doctors’ looking patients in their homes began to be criminalized, they hunted, prosecuted and persecuted, and their links to patients severed. It is like doctors being caught as hostages in the peoples’ war against corruption; if people stop their war and let politicians and bureaucrats go free, they will release doctors and return them to their homes for practice. Future history of the world will probably mark this as the most brilliant intellectual sabotage of this century. We shall not consider this improbable because such massive scams as happened in India have not happened anywhere else in the world and the way of escape they devise also would be unique and unprecedented in the world. When the number of students seeking admission to history courses in Indian universities began to decrease and there were only third-rated students available for studying history, the Indian History Congress out of desperation made a call for all brilliant students to turn to study of history from study of science so that history would remain in the hands of the brilliant. It will not be too long before the Indian Medical Congress also makes a similar appeal. More bright students turn to study of Information Technology and Computer Science now or even Avionics and Naval Architecture considering the freedom, recognition and salary in those fields; lesser number of brilliant students now turns to medicine considering the strenuous job requirements, legal liability and obligations, low salaries and maniacal government regulations. A young man who studies 12 years before graduation and spends 5 more years for MBBS, 2 more years for MD or MS and again 2 more years for some kind of post graduate specialization joins government much later than an IT professional does and draws only a fraction of the IT person’s salaries, with all possible risks and allegations, even arrest and prosecution for home practice. Still, all seats in medical colleges in India are filled up but by the average and no-brilliant rich. Think about a misguided and rotten administrative set up which drives away brilliant brains from the field of medicine and filling that field with poor intelligence. This is the effect of giving a ruling representative class the privileges of being taken abroad for treatment at people’s expense. Had these people’s representatives not been privileged enough to be taken abroad for treatment when they need it, would they have filled the medical field of the country with poor intelligence? 16. Magnanimity and glory happen every day, every hour, in hospitals and doctors’ homes but they do not advertise these like politicians do. Doctors squeezing patients in their home is a myth. There might be a few who stain that profession as there are in any profession but many doctors, when we go see them in their home, would accept only a token consultation fee after which, even if it takes dozens of visits before the patients is cured, will not accept any more money. Once, a government servant went to a doctor’s home and gave her 200 rupees for looking his wife who was carrying for the second time. She had not taken a particular injection after the first delivery and so had complications during the second. Since when she was 4 months pregnant, this doctor attended to her till child birth. At times, she drove her car herself to the hospital at midnight when her presence was needed in hospital for this patient. During the entire period of pregnancy, she declined to accept any more money. 200 rupees was enough for her till the patient went out of hospital happy with a child. She actually had spent many times more money for purchasing petrol for these night trips than what she had accepted as token fee. The only other thing she did was presenting this patient as a study model for her students in the hospital which was but professionalism. Such incidents of magnanimity and glory happen every day, every hour in hospitals and doctors’ homes and they do not advertise these like politicians do; they simply remain untold things of pleasant remembrances to patients and relatives, rousing respect for doctors and elevating doctors to the level of gods. Had there been no such frequent incidents in hospitals, there would have been continuous uproar, protests and even burning in hospitals by public against governments’ injustices and these public institutions would already have become outdated and gone. Many doctors spend their money for purchasing medicines for patients or give it as bus fare to them. Thousands of doctors give away what they get to patients and live in debt or with what their wives get. They are regular customers of banks for loans, not deposits. The majority of them regularly obtain loans from banks for educating their children and constructing homes. Home is just another place for them to continue charity as they cannot sit in hospitals after duty time. We will not believe many among them do private practice so as to be available in their homes for natives to visit and consult them at all odd hours, with not a single coin in their hands. If they close their doors, where will these poor people go? Many doctors in Kerala, especially very senior women doctors, come to work in public buses, and if unavoidable, in auto rickshaws. Many do not have cars even after long service. These doctors, who are the beloveds of their people, earn nothing in home practice except perhaps fish, tapioca, plantain and fresh vegetables as presentations from these ‘friends’. One such doctor in a rural headquarters in Trivandrum died money-less after 32 years of service as civil surgeon. Natives of his town took a collection to support his family, actually their beloved family. This article is dedicated to this beloved doctor of the masses whose name is known but shall not be mentioned here, out of propriety and respect for his family. 17. Doctors who took leave and went abroad escaped punishment; those who remained to treat natives persecuted and hunted. 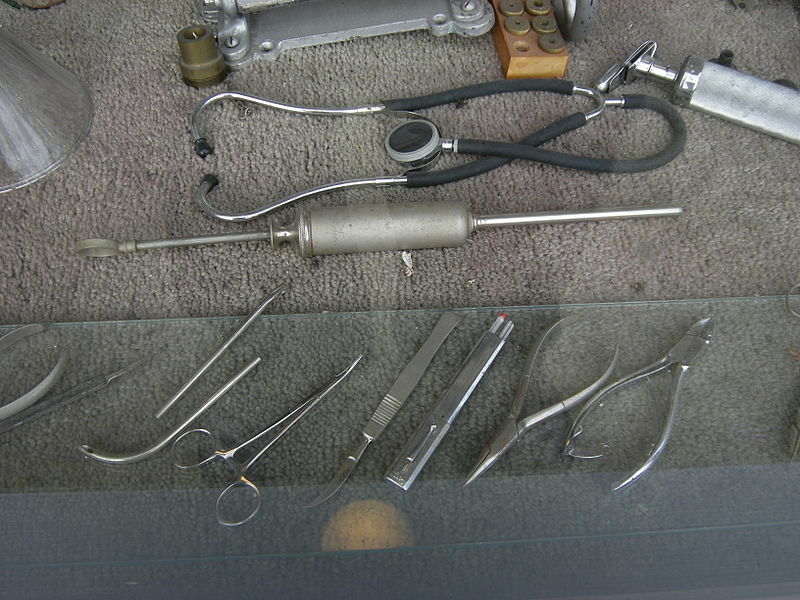 Tools of a doctors trade to save lives. Some doctors do send bagfuls of money to banks each day collected from private consultation but we shall not be jealous. Think about the time, effort and energy they spend during the long years of study, the longest when compared to those bureaucrats in IAS, IFS, IES and IPS. Brain drain of doctors to England, America, Australia and the Middle East has been going on for so many years because there were not brighter brains in government to prevent it. There were early warnings about this from learned and foresighted quarters but authorities heeded not these warnings. Billions of rupees spent by the country for educating these brains became useless for the country and all of those who could secure a pass port, travel ticket and grant of leave left the land. Only those with domestic encumbrances such as little children, ailing wives and aged parents remained to treat natives. It is those who remained to treat natives who are hunted for private practice now. Today, when government tries to fill up vacancies of doctors in hospitals, there are none to take up employment with government. We cannot punish those bureaucrats and state ministers who brought about this situation through their irresponsibility and unwisdom because they have constitutional immunity. But which doctor would have gone abroad leaving native practice and a family behind if equally attractive pay was paid and equally reliable equipments were provided in native hospitals? So, our jealous bureaucrat nipped in bud all such positive thoughts and prompted government to believe that if private practice ban is enforced fiercely and more and more doctors punished for private practice, they will get the heat and come government’s way. What actually happened was the other way; attraction for government service ceased and private hospitals came up everywhere to bridge the gap. In future, to get doctors for working in government hospitals, they will have to pay more than what the private hospitals and foreign governments pay, thanks to the advice of wicked bureaucrats and crooked politicians. If you are beginning to point out that there are handsome retirement benefits and pension schemes in government, know that they are all already done with after new parliamentary legislations, to a level much lower than that of private hospitals. Do not think politicians and bureaucrats in the country are totally ignorant and short-sighted; they are not and they want total destruction of the famous free hospital system of India which has been a model to the world, and to prepare way for their sons and daughters in giant private hospitals and mammoth medical companies. 18. Government sells patients’ rights and privacy for money, permit mobile phone cameras inside and open asylums for film shooting. If doctors’ books and income tax returns do not show their income from private practice, it is government’s duty to see that it is done. If doctors are not seen present in their duty stations in hospitals, it is again government’s duty to see that they are present there. Government’s failure in both responsibilities and attributing responsibility for their failure to doctors’ practicing in homes is the actual criminality, the politicians’ and bureaucrats’ usual way of escaping from allegations of failure in their duties. If doctors in government hospitals demand money for looking patients or neglects to care them for not paying them money or ask them to come to their homes, it is entirely different, again another burden of government in moving preventive and investigating machinery inside the hospital. Government fails in these things of hospital administration and escapes from shouldering the responsibility for its failure by sensationalizing doctors’ private practice as criminal activity. If the sting operations they conduct in doctors’ houses are done in the hospitals, reputation of those hospitals would be in peril and health minister, health secretary and director of health services will have to resign. Raiding doctors’ homes with full television coverage instead is easier and popular. When some new news channel is inaugurated or an existing one suffers from popularity-fall and credit-rating due to appearance of a new one, they will place telescopic cameras on nearby house roofs and live-televise patients coming to the doctor’s house or clinic. The next day, politicians and bureaucrats would rise up as if they were not cued, suspend the doctor and make it the news of the year. These media people nor the politicians and bureaucrats who celebrate this news are not intelligent and humane enough to know about the pangs in the heart of that dedicated doctor who cannot deny treatment to those human beings come to his home, and are neither noble enough to be aware of the feelings of destitution and abandonment passing through the minds of those patients beings photographed through tele-lenses from a distance- cold, shivering and disease-stricken. Mental Health Acts of the world forbids filming and showing in pictures the patients in mental hospitals revealing their identity. One new news television channel in Kerala repeatedly showed this way, patients in a mental hospital being washed in bath houses. No bureaucrat or politician or government did rise up, protest and prosecute the channel for violating the sacredness and privacy of mentally disturbed citizens. Brethren media never took up this violation of patients’ rights as news or issue. Political parties never condemned this exposure of mindless patients. Not only doctors but politicians and media men as well have to keep professional ethics and protocols. But government even sells mental patients’ rights and privacy for money by permitting freely using mobile phone cameras by trainees inside asylums and opening asylums for film shooting. 19. Equipments in government hospitals are equally accessible to public and private patients. Why doctors join government service nowadays is not for the pay, which is handsomer at private hospitals, but for the equipments in government hospitals. Considering the unlimited resources of government, public hospitals are well equipped to treat almost all diseases, if these equipments work. Private hospitals cannot compete with government in investing as much in purchasing equipments as the government can. At a time when government hospitals were the only option for doctors to join, things went smoothly. Even doctors’ private patients needed these equipments but we needn’t bother because patients are not to be classified as public and private since they are all citizens; it only needs that all patients are cured. Private patients coming to public hospitals for inpatient services and using these equipments needn’t be viewed from a commercial angle because government hospitals, at least in India, are not meant to function as commercial enterprises. Health services in India are not earning departments but free service organizations until politicians and bureaucrats succeed in making it the other way. The nation only wants all citizens to be cured. Their having paid the doctor is not disqualification for depriving them of their rights to access government hospitals; there is a paid departmental vigilance organ to detect discrimination if any that doctors may show to unpaid patients. There is no question of ethics involved. Except in cities, India does not have enough doctors. In villages, there is not a single one practicing. Doctors in government hospitals living and practicing in villages- those who come forward willingly to work in villages- is the only solace the Indians have. It is one thing to sit in ivory towers called government secretariates and order capture of home practicing doctors and another to provide treatment facilities for all villages, especially during night. 20. Who will go to a doctor’s home practice if he has made a monstrous reputation in hospital? When there were no health industries. A few surgeons do delay operations of patients who do not see them in private and assign earlier dates to those who do go see them. Compelled this way to undergo unendurable agony and anxiety for longer periods, they too will yield and pay up as that doctor would be the only available one in that faculty to treat them and most probably the best. Government vigilance and hospital vigilance miserably fail in checking this untoward practice in the hospital; instead they raid doctors’ homes to terrorize them, which cannot be said to be not having some justification. But that shall not be an excuse for blanket-banning private practice. Some doctors doing home practice as well do not look patients well in hospitals unless they belong to their clientele which is what makes people angry and moves government to ban private practice. If a government doctor continuously ignores his non-paying patients, treats them badly or not at all treats them and makes a bad reputation on this account in the hospital, it is more likely no one will ever go to his home practice unless he is the only doctor in a village. If everyone is treated well irrespective of whether they pay him or not and if he gains a reputation for this kind of behaviour, it is then that people crowds into his home or clinic. A government doctor doing no private practice can certainly do this kind of injustice to patients in the hospital because he has nothing to loose by creating a monstrous reputation but a doctor doing private practice cannot afford it. It is clear, the private practicing doctor is the better one. The private practitioner will try everyway, everyday, to correct his mistakes in practice and policy and improve the quality of his care both at the hospital and at his home. Good behaviour and diligent care are rewarding investments and is the most effective advertisement for a private consultancy. Which other shop establishment is there which collects as much as this one does without investing a single rupee in advertisement? Some are lazy indeed in attending hospital but only a few. Not that doctors are always available to patients in hospital. Being attendants to quite a number of medico-legal cases and issuance of wound certificates and post-mortem examination certificates, they will be summoned regularly to law courts as witnesses, during which days they will not be present in hospitals, leading to the general misconception that they are always absent. Their absence will have many other reasons also which would not be known to public but would add to the general misconception. Most doctors in government hospitals would not have to attend O.P.Department on all days; it would often be two days in a week. A patient come to see him is directed to take several tests the results of which won’t be available till the evening or the next day when this particular doctor would not be available in the O.P. or would have gone home. If the doctor is available in his home, the patient can see him there. But if he is not allowed to see him there, he has to wait for two or three more days till the doctor’s next O.P. day arrives when his physical conditions may have changed meantime and tests will have to be done again and results obtained. This cycle will go on endlessly without him ever having getting a chance to see the doctor and his condition worsening all the while. You may ask why this patient wants to see this particular doctor alone; he is the best and it is this patient’s right to see the best. Denying him the best is violation of his right. The government only needs ensure that doctors are attending patients in hospitals during duty hours. Check the hospital, not the doctors’ houses. What strange and bizarre things will people find out if they check what state ministers are doing absenting themselves from ministries during duty time? What a doctor does in his free time is his affair, not government’s or anyone else’s. Instead of going to cinema, dance, booze parties or other wanton time passes, if he decides to spend that time also in treating patients, it is something to be commended, not condemned. 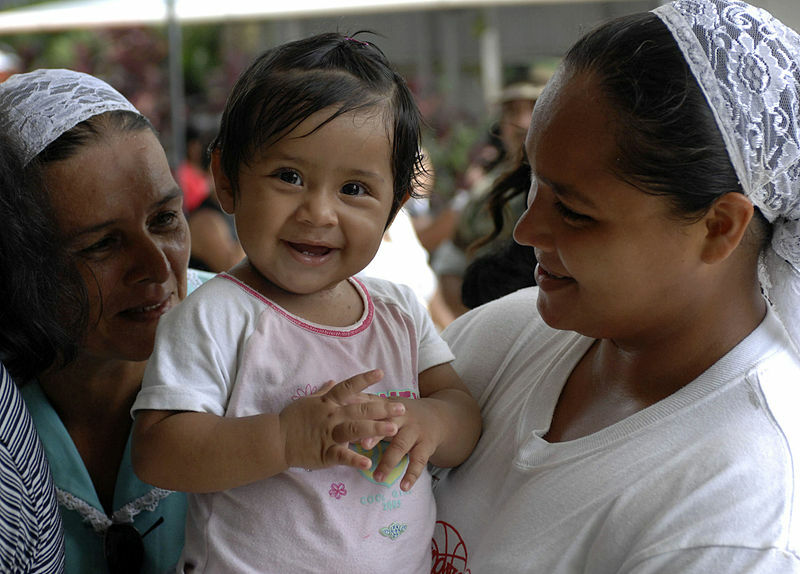 The more number of patients get healed, the better it is for human society. Instead of thinking this rational way, if government attempts to treat his devoting spare time also for treating patients as a crime and spread unwise train of thoughts among people through government propaganda, it is time people interferes. The higher the expenses society incurs to educate a person, the more he is expected to give back in time and efficacy to society. Government can say that he is paid to spend his spare time also for further studies, but treating more patients is a doctor’s study. Even if he does not read about current innovations in the field of medicine, it is his affair, as people would recognize his lack of updating and choose other doctors in their wisdom. 21. Who represent doctors in government when crucial decisions are made? It is a good thing now to enquire who represents doctors in government when crucial decisions affecting the future of patients and doctors are taken. There is the health minister, the health secretary and commissioner and the directors of health services in the state. The director of health services in the state would be the only person in these committees who is qualified as a doctor. But to become a director of health services now, one should have abandoned clinical practice and hospital duties so many years back and taken up administration to become the senior most file pusher in the state with no actual contact with patients for years and with no hope of ever going back to practice. Limited to salaries alone, he would be jealous of all serving doctors who earn an additional income from private practice. And hence, the customary animosity towards private practice! We know that a very good doctor who is considered as a success by people would never even think about leaving practice even for a few years and abandon stethoscope and the surgeon’s knife to take up pen. Thus, we always have an intolerant and incompetent doctor-turned-bureaucrat to represent doctors in government to decide upon health issues and home practice of doctors. No wonder they decide against. Their favouritism and secret allegiance do not but prevent them from excluding certain categories from the purview of their dictates. Those categories and specialties which necessitate costly treatments and are more profitable to private hospitals are included in the ban- such faculties as hematology which becomes pivotal after conditions of blood count-fall following widespread afflictions of dengue and chikungunya- so that doctors won’t be available in their homes for treatment of afflicted patients and they will all go to large private hospitals. It was state’s failure that led to the widespread sweep of these diseases, and when the number of patients with fallen blood counts increased, government banned hematology in private practice. Politicians and bureaucrats in government applied the double tactics of keeping government hospitals under-staffed and under-equipped to treat these diseases and when conditions worsen, banning hematologists from private practice, causing unprecedented flow of patients to private hospitals during infection seasons which are now all months. When state ministers and bureaucrats flew in costly by people’s cars funded by people’s money, we thought they were running to hold meetings to discuss ways of tackling these diseases and saving people; they were running to see whether the flow of patients to private hospitals were smooth. What shall we do, skin them alive or hang, for doing this work of Judas Iscariot? Even this nominal representation of doctors through the directors of health services in government is going to end; their presence in decision-making bodies is felt a nuisance by other members. Health sector has the biggest budgetary provisions in the country and siphoning out even a small percentage from it would be unending manna for politicians, enough to sustain them through generations. So, these politicians are now thinking about replacing doctors in the posts of directors of health services with IAS personnel so that when large scale and massive corruptions begin, there would not be any third parties like doctors in the field but only politicians and bureaucrats. People’s first reaction would be to protest against non-doctors becoming directors of health services in the states but governments have a ready answer- there are MBBS degree holders among IAS officers. But what kinds of creatures are these IAS officers with just medical degree certificates kept in cupboards to replace doctors with long experiences in medical practice and patient care? If he was good at medicine, would he have gone to IAS? 22. Working men, housewives and students prefer seeing doctor in his home in the evening. Those who go to see a doctor in his home are not the same ones who go to see him in hospital. Some may be, but the time these two categories choose to see a doctor is different. Those who can spare their day time go to hospital while those who cannot, go see him in his home in the evening. Housewives engaged in domestic chores who finish them only by the evening and workers who cannot take a day off from their work see the doctor in his home in the evening. When hospitalization becomes inevitable, schedules change and they both sacrifice time and work to get fit again. Children attending schools also are taken to doctors in the evening. Rude behavior of hospital staff, long queue, confusion as to where each department is located and delay in getting lab results are also deterrent factors driving patients away from government hospitals to doctors’ homes. In home consultancy, the doctor will give them sample medicines which most often would be more effective than those they buy from medical shops. When hospitalization needs, whether the doctor sends them to government or a private hospital is no one’s concern, as overcrowding in either one of these places would be reduced. If we are bold enough to subtract the number of working men, housewives and students from the patient population, there would only be old people, unemployed young men and girls and a few regular salaried employees whom government hospitals cater to. Even to them, the present hospital facilities are inadequate. Then what will happen if the former category also joins the queue? A working man will be able to go see a doctor only in the evening when there won’t be hospitals available. So, he goes see a doctor in his house. When this stops, do not think he will go to hospital by day which he cannot for fear of loosing job. He postpones treatment and learns to live with the problem for a time. The disease becomes chronic and when it is identified, it is too late. The man looses his job, his family looses the man and society looses that family. Thousands of such families vanish from before our eyes each day. Private practice of doctors is chiefly in the evening when hospitals won’t be available to patients. States which are more realistic to recognize this are situated in the north eastern borders of India. In Arunachal Pradesh, the state government started evening clinics from 5 pm to 7 pm for the convenience of workers, charging 150 rupees per person of which Rs.90 goes to the doctor, 30 to the hospital,15 to the supporting staff and15 to the government. Even though the rate is far higher than what a doctor normally charges, it is a modest admission of the services doctors had been doing in the evening in their spare time. Government in Assam was the most realistic to make Non Practicing Allowance optional. 23. When malnutrition, hunger and diseases are reported, tomorrow it will be picture of the Indian child shown replacing Somali Land children. Dr. Samuel D. Gross lecturing in amphitheatre. 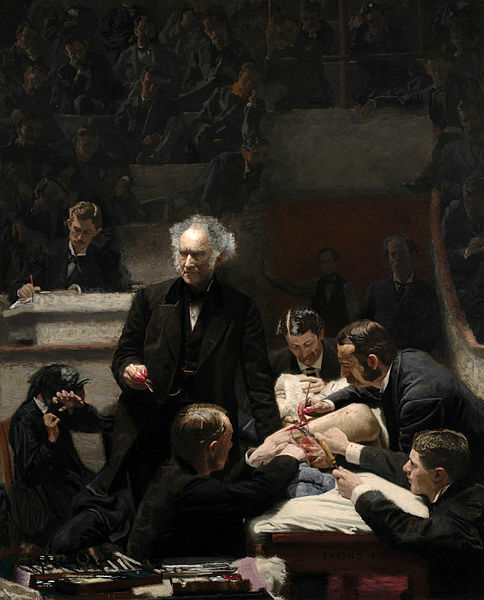 Thomas Eakins 1875. Poor people need medical attendance and it is the duty of government to ensure it. Government is obliged to reduce its administrative expenses, curtail lavishness, conserve money and divert it to providing poor people with food, shelter, clothing and medical attendance. Hospitals are the first place where everything has to be free, for diseases attack us when we have no money in our pockets. Healing the citizen and making him fit to work again is what any decent man, relative or government shall do. Once he is healthy again and can look after his things he is discharged but in the hospital another sick would have taken his place by this time. That is the continuous service of healing hospitals undertake, making citizens fit to work again. It is when citizens are not fit to work that economy of a country collapses and that is why governments build hospitals; it is not out of charity and sympathy. When citizens cannot recover their fitness to work due to poorness, it is the economy of the country that becomes wrecked. Since poor people are the majority in countries like India, making hospitals costly and inaccessible to them will have its direct negative impact on the economy of the country. At one time, when world spoke about hunger, malnutrition and diseases, we saw in newspapers the picture of some SomaliLand children, not to disparage that nation, and we know that that country never recovered from its economic wreckdom. If hospital treatment costs higher and higher this way, tomorrow it will be the picture of the Indian child shown, with signs of a collapsed economy in the background. 24. Sanctioning long leave for doctors for going abroad was the lucrative business of politicians and bureaucrats for years. Conditions existing in government hospitals are sad and dismal. Medicines are a rare commodity. Hospitals cannot purchase medicines directly from suppliers. There is a central purchasing committee headed by an I.A.S. officer and a director of health services. It is the duty of these bureaucrats to ensure that all indented medicines are ordered in advance and received into stock in all hospitals. It is not a duty of the doctor to stock the hospital, but that of the bureaucrat. These bureaucrats seldom care about stocking hospital pharmacies in time, and in every state they are held in corruption charges in connection with purchases of medicines and equipments. In states like Kerala, government constituted Medical Service Corporations for purchasing medicines and supplying them to hospitals. If medicines are not available in a hospital and doctors are signing prescriptions for purchasing them from outside, remember that there is always a corrupt, negligent and haughty bureaucrat behind this situation in that state. That is the case with non-working instruments and equipments also. In most hospitals, there are no doctors available to treat patients. Thousands of posts of doctors are lying vacant for years, the actual number of which will never be revealed. While there was acute shortage of doctors in hospitals, the IAS personnel in government were sanctioning long leave for thousands of doctors for taking up better employment abroad, for five years, ten years and then for fifteen years, if they had fat purses. We never heard of a health secretary or commissioner suspended, dismissed or prosecuted for doing this, based on virtual statistics made up by the interested and the involved. How much amounts changed hands for granting each of these leaves were never investigated. A few doctors remained in the states without going abroad for making money like others, contended with what they get as salaries in their native land. Those who loved their family to get burdened with looking after aged parents and educating children also did not go abroad. They turned instead to private practice to make up. It is they who are being persecuted, suspended or dismissed by politicians and bureaucrats now in the name of private practice. Their actual crime was, not going abroad and paying up these cut throats. So these authorities are angry as hell, gauged by the ferocity they show in raiding those doctors’ homes and clinics who stayed in the country and maintained health care in the state. Those working abroad escaped all punishment. Government even called many of them back but they did not even mind government’s summons to come back. Why should they mind, after paying up? They do have money made from foreign employment and they all are now immensely rich, envied by government secretaries. When they exerted the influence of their green currency on government secretaries and state ministers, there was no more calling them back from foreign employment. Those doctors who were loyal enough to their society and people to remain in their states have no mentionable bank balances and also have not money to be given to government secretaries and ministers. That is why they are ferociously being hunted for private practice, their only additional income for survival. The ugly thirst for money and insatiable greed of top level bureaucrats and politicians are what manifests in banning the private practice of loyal and committed doctors who did not go abroad for making money abandoning their patients. 25. India will become the only affordable place in the world for countries to send their citizens to for treatment, if this heinous lot does not interfere. Why politicians cause overcrowding in hospitals? The quality of health care in India is not altogether bad. People from many countries visit India for medical treatment because treatment expenses in India are much lower than those in most countries. Medical tourism is developing as a major source of income for India. Some people will mistake this situation to be warranting the raising of treatment expenses in India, especially those politicians and bureaucrats of the country who are eagerly waiting like hungry jackals for a piece of new meat. If this heinous lot does not interfere, India will become what it really, historically, shall be to more and more nations in the world: the only affordable place in the world for them to send their citizens to for treatment. Compare this achievement in the health sector of India, made possible through the dedication and selflessness of thousands and thousands of doctors, nurses and para medical staff, to the political and bureaucratic scenes from India which send the smell of more rot and degeneration each day to the world. Now you tell who are the worms in the apple, politicians and bureaucrats or doctors? Is it politicians and bureaucrats who are involved in crime, corruption and money scams in India or doctors? We can say that if a doctor gained extra money from private practice and made a fortune, he has put in an enormous amount of hard work. But what work did politicians and bureaucrats in India put in, to make this much money to put in Swiss bank accounts, domestic bank accounts, jewellery, land, buildings, mines and malls? If politicians and bureaucrats had not looted the country’s riches, there would have been left more than enough for providing absolutely free treatment to all citizens, for development of hospitals and for starting new ones where needed. Latest technologies could have been adopted, the most sophisticated machines and equipment purchased and the most effective medicines imported. There would have been no need for levying fees, including for major operations and transplants, and treatment would have remained totally free and state-of-the-art in the country. Those who need emergency treatment could have been air lifted or even flown abroad. Suppose an amount of One Lakh Crore Rupees were needed each year for doing all these, it is only a small fraction of what is stolen each year by these politicians and bureaucrats. Even stopping free treatment for these leeches alone would have liberated enough for purchasing modern medicines for all. Doctors and people on one side and politicians and bureaucrats who are totally alienated from people and turned into another type of beings on the other side- this war has been going on longer than logical and normal. This is a modern day Greco-Roman War, lonely brain power versus brutal brawn power, human intelligence versus bulls. We know, almost all our ideas and knowledge we make use of still today are the ancient Greeks’; the Romans are long gone. Dedicated to one doctor of poor masses who gave whatever he gained to his patients and died in poverty. We are dedicating this article to one good doctor of the poor masses who gave whatever he gained to his patients and passed away in poverty after many years’ service as a civil surgeon. Let his benevolence and kindness inspire those poor little children who got it from him to grow up as doctors like him. It is like a small ripple, made in a body of water with no boundaries, expanding eternally and travelling till the end of time, breathing solace to mankind. Thank you dear reader for your patience and discipline in reading this article to the last and tolerating the opinions expressed here which are the author’s alone. You are free and invited to add your kind observations on this social issue which the author thinks is important. Also please read Are Our Women And Children Safe In Our Hospitals? P.S.Remesh Chandran. 01. Please leave this alone. Shark96z. 02. Shall we tolerate interference? US Govt. Federal Archives. 03. Helping young patient in healing. US Navy Chief Journalist Al Bloom. 04. 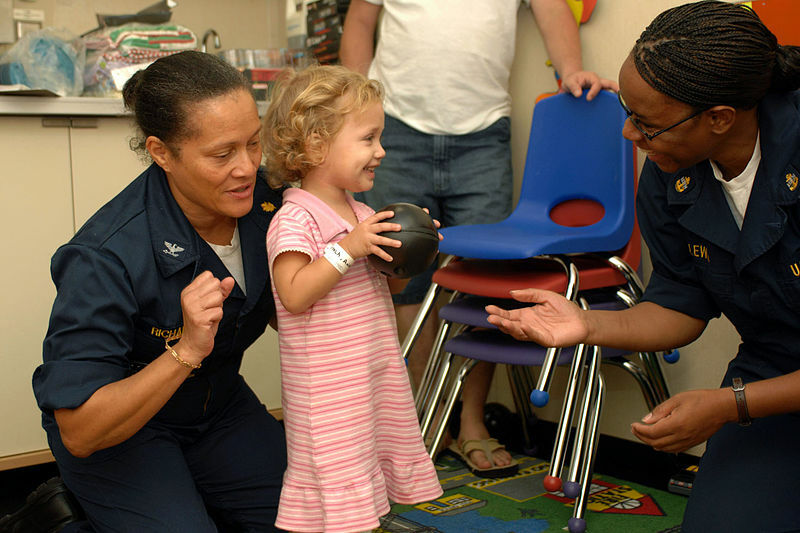 They still find time to play with patients. US Navy Staff Elizabeth Allen. 05. Brought back to health again by angels. US Navy staff Steven King. 06. Will they return to music of home bells? Michael Rivera. 07. Patience, diligence and care, their face marks. Pascal Dagnan Bouveret 1879. 08. Tools of a doctors trade to save lives. Joe Mabel. 09. When there were no health industries. Joe Mabel. 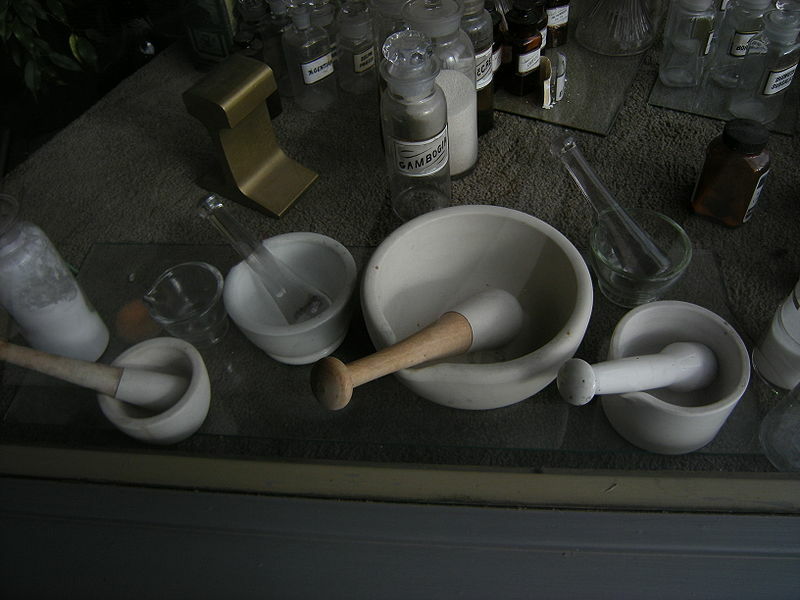 Pestles, ceramic mortars. 10. When health monopolies rule. Joe Mabel. 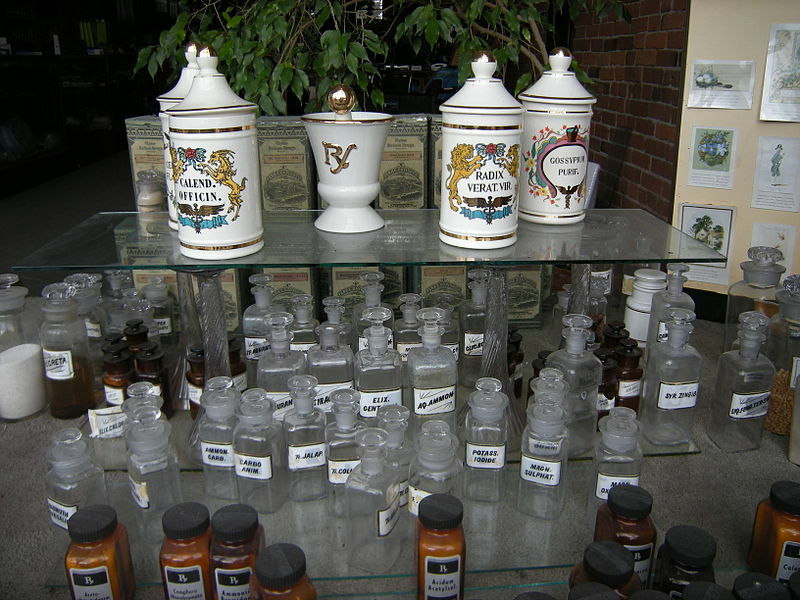 Apothecary in display. 11. Dr Samuel D Gross lecturing in amphitheatre. Thomas Eakins 1875. Nice analysis- but I think you could have written a bit shorte- or may be published this as PartI, II, III etc. When I was compiling my observations and feelings on this subject, I knew they were lengthening each day, all the while thinking who would publish this long article except my own sites and blogs. When it reached nearly 60 pages I decided I was not going to write a book but a long essay. So I stopped and edited it to 27 pages. I am more committed to this cause than to the convenience of dividing it into 3 parts and publishing separately. I hope readers won’t be distracted by the length. I had doubts whether Wikinut would object to the length but they didn’t for which I am grateful to them. And I am grateful to you dear Ptrikha for the first comment. For decades we have been seeing our fellow human beings going to hospitals, spending up to the last of their earnings and borrowings and still dying away. A mankind with no diseases is everyone’s dream, which was my thought. But before long, I learned that everyone in the world does not share the same feeling. Not a few want diseases to be there and to spread, a pitiful kind of human imagination. Even though they make money, millions of others loose their lives for it. 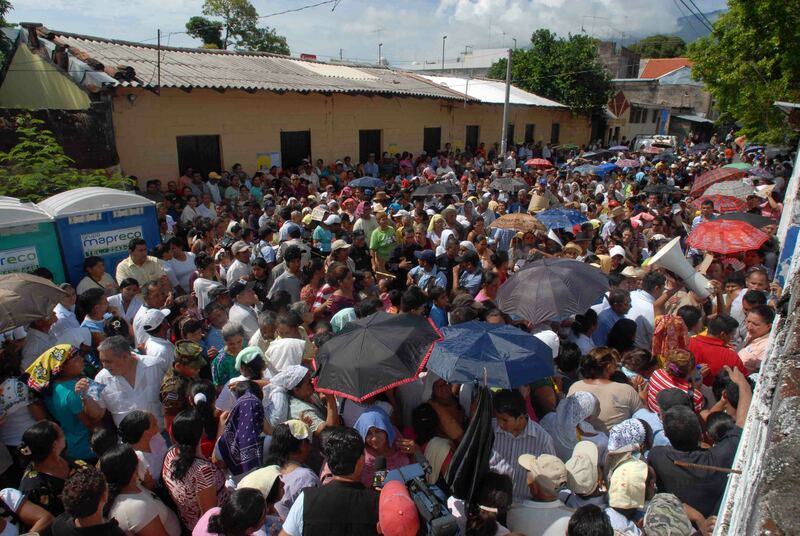 The persons who would very much wish to speak about these injustices in health are the doctors and poor patients. The first unfortunately do not have time or a history of protesting. The second do not know how to respond or the time of rest to do it. I am one among them and their advocate, you can guess which. I am but the medium through which the dead and the living dead speak. I stole every sentence, word and phrase from their very lips. Today or tomorrow the world will have to listen. Dear Madan G Singh, I am grateful you were one among those listeners. Previous The Send-Off. Wilfred Owen Poem. Reintroduced By P.S.Remesh Chandran. Next How Advertisements Help Pay Online Writers? P.S.Remesh Chandran.